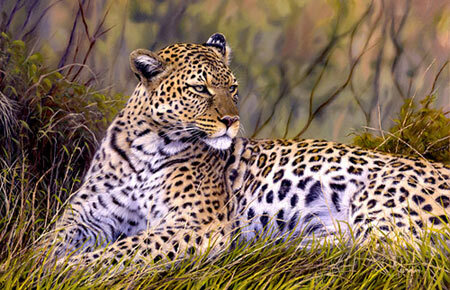 I hope to have full sized prints of my latest painting “African Leopard” available very soon. 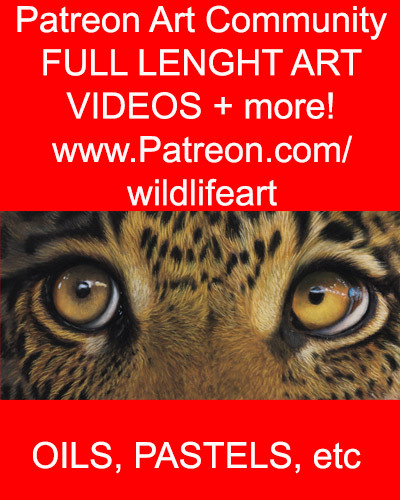 Please email me to reserve your limited edition paper or canvas print. Note prints sold on a first come first served basis, so please contact me to avoid disappointment. This is a massive 32in x 20inches, so would really add impact to a room, or even company boardroom! 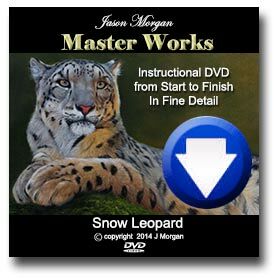 Imagine closing a deal, sitting in front of the snow leopard with it’s eyes making contact with your customers! ha…. A more modest 20 x 16inches. I am currently working on a massive African landscape with elephants, zebra, wildebeest etc. Hope to have images for you soon.